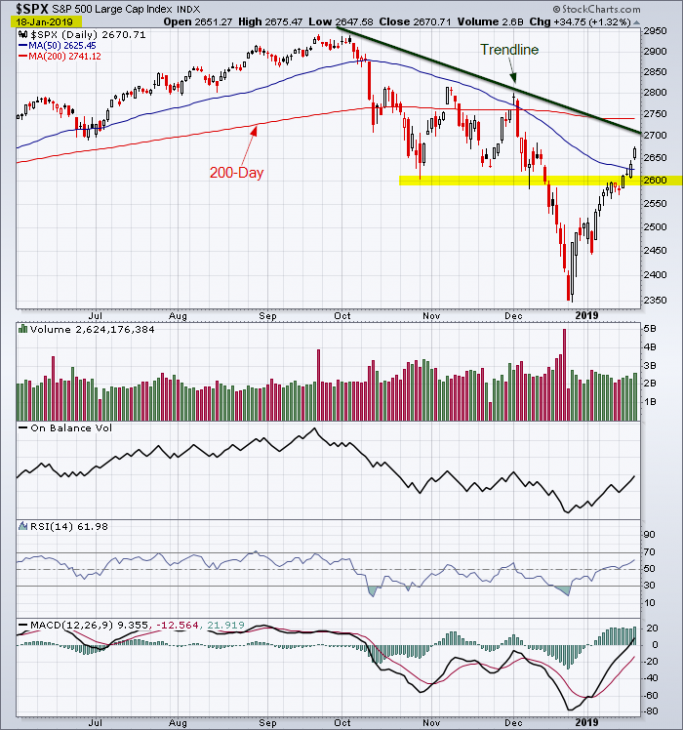 S&P 500 cleared resistance at 2600 and it cleared the 50-day average. The next resistance zone is the downward sloping trendline and the 200-day average. Reference my last post on the S&P 500 Index. This entry was posted in U.S. Indexes on January 19, 2019 by Trader.